Just before this year's PAX West, Gears of War 4 developer The Coalition revealed the revamped Horde 3.0 mode and had it available to play on the PAX show floor. Now that the dust from that has settled, the dev is ready to talk some specifics about the mode. Speaking of Skill Cards and Gear Packs, Rod Fergusson, head of The Coalition, revealed on Twitter a couple days ago that Season Pass holders will no longer be getting the 6 Gear Packs that were originally revealed to be a part of that deal, and instead replacing them with a 17 pack Starter Air Drop. That Starter Air Drop will contain 5 Horde Boosters, 5 Versus Boosters, 5 Operations Packs, and 2 Elite Packs, which means players will be getting a total of 85 cards. I guess that's a good deal, but all of this discussion of cards and boosters makes me curious about how all of these things will get used in the game and how much of it will be single-use items. It can be pretty easy to entice players to buy premium currency to buy more of these boosters. 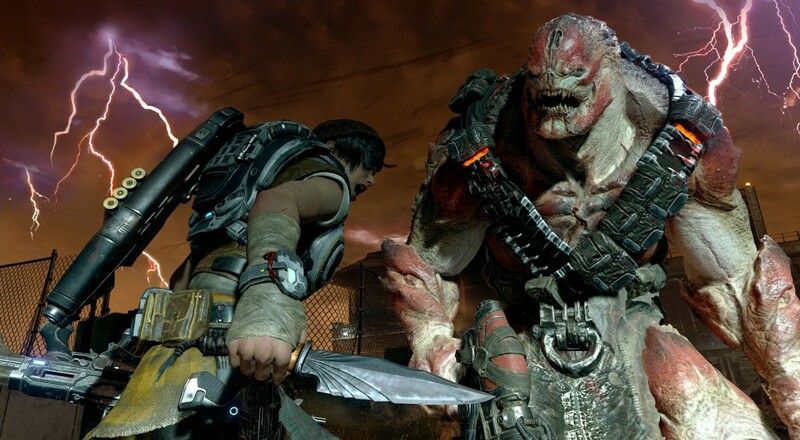 Gears of War 4 is still slated for an October 11, 2016 release date on Xbox One and Windows 10, and is part of the Xbox Play Anywhere program. Page created in 0.2901 seconds.